Inspired by Pope Francis’ recent attention to the seven sacraments — unique encounters with the Living Christ that should be made accessible to all Catholics — this monthly series will look at practical and creative ways the sacraments can come alive in our classrooms and in our homes. Baptism is considered the gateway for all other sacraments. It marks the beginning of our Christian ministry as it frees us from original sin and makes us members in Christ and his Church. Baptism is most often conferred on infants and children too young to understand this important ritual. Therefore, our best option for evangelization is the parents. 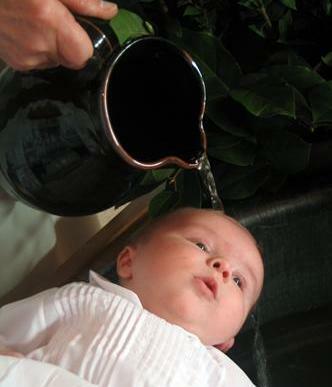 Most parishes today offer a baptism class for parents wishing to baptize their children. This is our first opportunity to reach out and welcome these families. Preparing to have a child baptized can give parents an opportunity to reflect on their own relationship with God and the Church. We want to be able to answer their questions with charity and clarity to help them to understand the commitment they are about to make. Baptism in the Catholic Church requires parents to commit to raising that child in the faith–that is, to attend Mass regularly and see that the child is properly prepared for his/her sacraments. Through this sacrament, an individual joins our parish community in a special way and our parish is greatly enriched because of it. 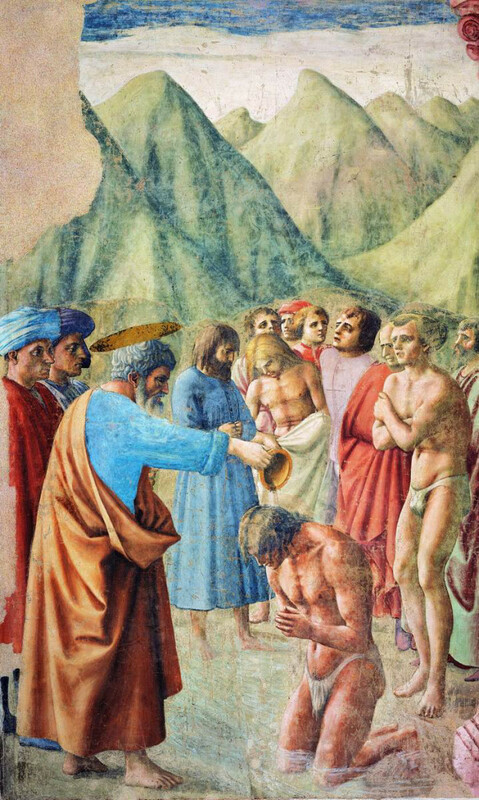 Baptism, therefore, is not a private family affair but a community celebration, which is why the sacrament is most often celebrated during or immediately following the Mass. Couple Prayer. Encouraging parents to pray together for the sake of the child they are about to baptize is an intimate and powerful experience that can truly unify a couple. Praying together for a tiny infant provides a great foundation and will segue easily and naturally to deeper prayer as the child grows and needs those prayers all the more. Letter to Baby. Invite parents to write a letter to their child about the hopes they have for their son or daughter as he or she grows to follow God. This is an excellent opportunity for a parent to ponder their role in the spiritual life of their child. By putting their hopes and desires in writing, it deepens the commitment and can become a treasured keepsake. Discernment of the Baptismal Name. The naming of a child has great significance and requires prayerful discernment. As Catholics, we have a wonderful tradition of naming our children after great saints. These holy individuals can provide our children with a strong and virtuous role model and a spiritual companion for life. Choice of Godparents. Godparents are not figureheads in the Catholic Church but vital players in the spiritual life of the child being baptized. A carefully discerned Godparent will be convicted in their Catholic faith and committed to see that the child is raised as promised. Easter Vigil. Easter Vigil is the Church’s grand celebration of the Sacrament of Baptism, with the blessing of the paschal candle and the entrance of all the catechumens and candidates into the Church. Yet many Catholics have never experienced it. Enthusiastically and personally invite families to attend! Baptismal Anniversaries. Mark the anniversary dates of each family member on the calendar. Celebrate those special days by reminiscing over photos or lighting the baptismal candle. This is a wonderful opportunity for the family to recite together the baptismal vows. 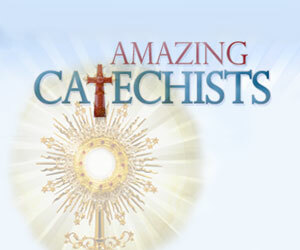 On-Going Catechesis. Even though most children will have already been baptized by the time they begin to understand this sacrament, it doesn’t mean there can’t be on-going catechesis. Choose biblical “water stories” (i.e. Noah and the flood, the crossing of the Red Sea, Jesus’ baptism, etc.) as a teaching tool for explaining the sacrament, since each of these events pre-figure baptism in some way. If a baptism is going to take place during a Mass you are attending, give your children seats with a good view of all the action, while quietly pointing out symbols such as the chrism oil, the candle, and the white garment. And remember, when it’s time to renew the vows, do it loudly and proudly!